Tabor is a well-versed artist. 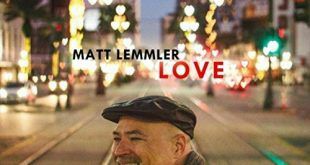 Paul McCartney-meets-Ray Charles on 'Love,' a New Orleans jazz-pop release by pianist Matt Lemmler. Norah Jones released a new album, 'Live at Ronnie Scott’s,’ on June 15, 2018 on DVD, Blu-ray, and digital formats. 'Tahdig' provides delicious music full of swirling jazz, polyrhythms, and gleaming brass accents. 'Running Through with the Sadness' provides delicious, heady music.